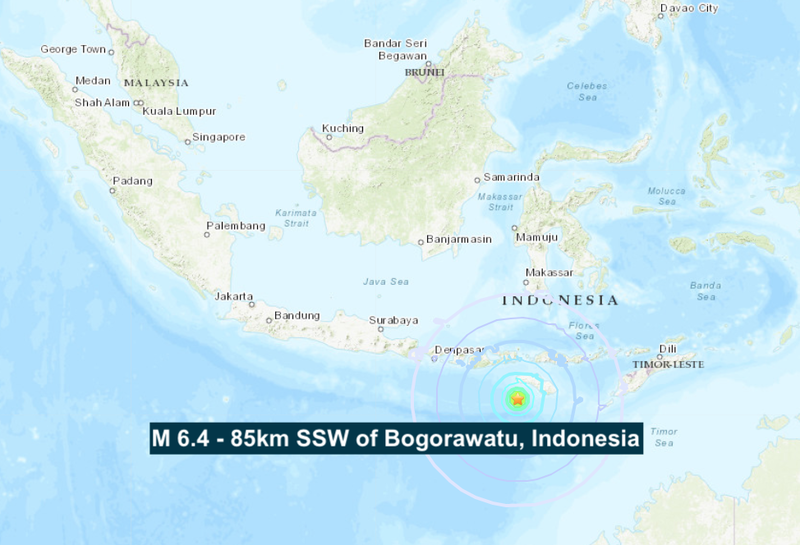 An earthquake of magnitude 6.4, struck south of the Indonesian town of Raba, off the central island of Sumbawa, the U.S. Geological Survey said, the second quake to hit the area on Tuesday. The two quakes bring the total major quakes to 9 in 2019. Indonesia suffered its deadliest year in more than a decade in 2018 as a series of earthquakes and tsunamis killed more than 3,000 people. According to USGS, around 800,000 have died from earthquakes from the year 2000 to 2015, with 2004 being by far the highest year for casualties with almost 300,000 dead with the lowest year being the year 2000 with the small total of 231 deaths. The highest number of major quakes in a year, ever recorded was 2011, the year of the Fukushima disaster with a total of 205, while the least number in the 21st century so far was the 111 major quakes recorded in 2017, a staggering 94 less than 2011.